Fisher, J.G., J. R. Frederickson, and S. A. Peffer. 2000. Budgeting: An Experimental Investigation of the Effects of Negotiation. The Accounting Review 75(1): 93-114. Horngren, C.T., G. Foster, and S. M. Datar. 1997. Cost Accounting: A Managerial Emphasis. 9th　edition. Englewood Cliffs, NJ: Prentice Hall. Monden,Y. 1998. Toyota Production System. 3rd edition. Norcross, GA: Engineering & Management Press. Nishimura, A. 1995. Transplanting Japanese management accounting and cultural relevance. The International Journal of Accounting 30: 318-330. Palepu, K.G., V.L. Barnard, and P. M. Healy. 1996. Business Analysis & Valuation. Cincinnati, Ohio: South-Western Publishing Company. 斎藤静樹監訳, 筒井知彦, 川本　淳, 村瀬安紀子訳. 1999. 『企業分析入門』東京大学出版会. 佐藤紘光. 2000. 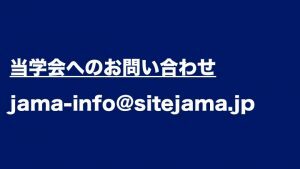 「企業の投資行動と業績評価」管理会計学 8(1･2): 17-31.